The Alliance for Quality Construction (AQC) was created to promote the benefits which union contractors and their employees offer to construction users. With a vast membership of trade and contractor organizations, we have created a marketing program that includes a website, brochure and videos. These are disseminated to various construction users, such as commercial architects, developers, building owners/managers, and public agencies. The AQC also produces the “Q Award” to recognize owners of major projects exemplifying quality craftsmanship built with union labor. 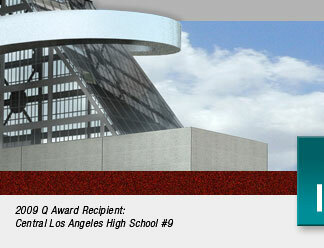 This prestegious award has been presented to many of the most highly-respected construction projects in Southern California, and will continue to be an annual event resulting in exceptional recognition for AQC members. We would be honored to have your organization become a member of the AQC as we continue to pursue projects which will promote union contractors and their union employees. Complete the following form to submit your application. We will contact you by email or telephone to ask any questions or otherwise confirm that your application is in progress. Thank you for supporting union construction.